Well, after Jonny’s Yarn Along post last week, I feel a little boring. Thanks so much for giving him such a warm welcome. I am guessing that he’ll be back. I’ve been working on my second take of the cardigan I am designing. I made a few changes to the pattern I wrote up as I knit Beatrix’s cardigan, and have almost finished the body of Larkspur’s following those changes. I am knitting with Cynthia’s organic merino again and absolutely love the warm shade of brown that she achieved using dye made from black walnuts. I think the color is perfect for Larkspur. She’s very excited about this sweater even though it isn’t pink! I am completely engrossed in The Betrothed. It is an excellent book. I was originally intimidated by its length, and would have never chosen to read it had a friend not enthusiastically recommended it and placed his copy in my hands. I am am now more than halfway through it’s 700 plus pages and wishing I had more reading time. 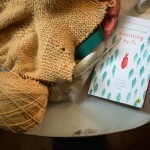 I received a new knitting book in the mail this week, a book I pre ordered because it looked so good! 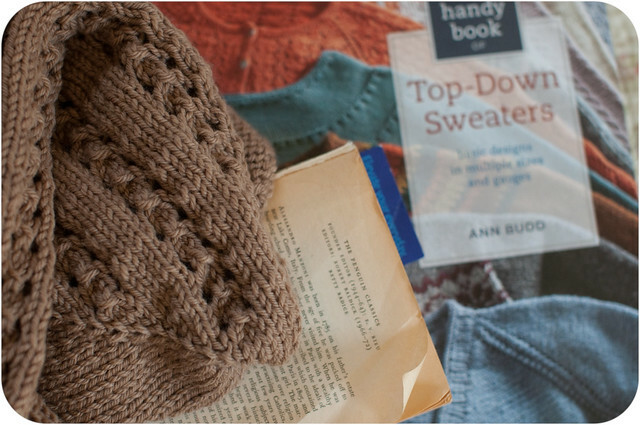 It’s the Knitters Handy Book of Top Down Sweaters by Ann Budd. I have spent some time skimming the pages and the designs and love the fact that she guides you (very thoroughly) through creating your own customized top down patterns in this book. The patterns that are included look great too. I think I’ll get my money’s worth and more out of this book, which of course isn’t always the case. And related to knitting, I just have to share something totally simple in concept but really helpful. I ordered a couple sets of Try it on Tubing last week. The plastic tubing slides over the tip of your knitting needles to give the additional length needed so that objects can be tried on as you’re knitting them. I used one today so that Larkspur could try on her cardigan as I wanted to check the length on her. I mainly use Knit Picks interchangeable needles and usually remove one needle tip, add a connector followed by another cable when I need to try something on. The tubing was much faster and simpler to use. So, I am very happy about that. 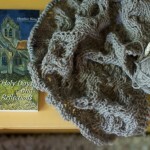 The cardigan looks pretty, and I really like that soft brown color! Look forward to seeing it all finished up! Thanks for hosting this Ginny. Even when I don’t post my own pics I always enjoying looking through every one’s projects each week! 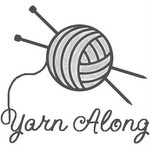 I found Ravelry through you and just got signed up there and I’m excited about some up coming projects I have lined up! Thank you for the inspiration!